A double track would result in much more traffic not less. And the number of extra long and disruptive freight trains we could expect to increase dramatically. Worst of all, it would facilitate incredibly long, dangerous oil trains, up to one and a third miles in length, to pass through our neighborhood --which is not the case currently. And don't be fooled by regulations. Even if regulations are eventually put into place, regulations can be changed as quickly as politicians and other government officials. Don't risk turning our neighborhood into a catastrophic accident waiting to happen. Don't even think about it. Reject the Double Track! Contact our representatives today and make your voice heard in the quickest, easiest and most efficient way possible -- with a simple click on the Political Track page. 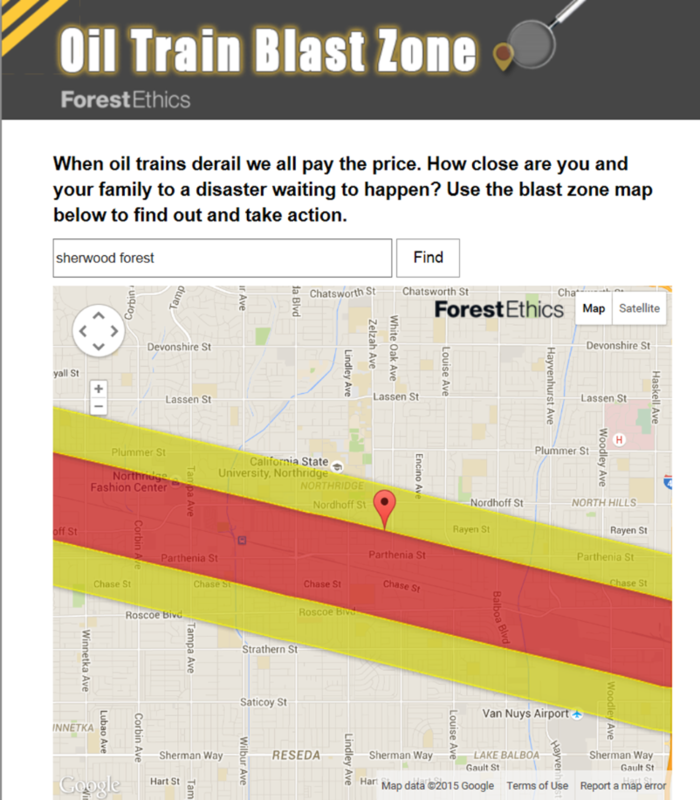 The Oil Train BLAST ZONE depicted below is OUR NORTHRIDGE NEIGHBORHOOD!!! Does the Los Angeles County Metropolitan Transportation Authority and our politicians really want to risk annihilating our entire community and everyone else living within the blast zone? See the resolution below presented by LA Councilmember Mike Bonin. It is a resolution to stop oil trains because of all the associated dangers. But the backyard surveillance video at the top of this page proves that oil trains are still passing through our community. A Double Track would greatly increase all freight train traffic, including oil trains, and it would facilitate the most massive variety of oil trains. It's bad enough that the entire project was founded on false claims to avoid EIR/EIS. Demand that the Double Track be stopped.